Slow Cooking All Year Round is a beautifully presented cookbook that celebrates the resurrection of a classic cooking technique known for producing soups, casseroles, stews and tangines jam packed with robust flavours of hearty goodness. Of course, we’re talking about the Slow Cooker. The Slow Cooker is a convenient and economical way to produce delicious traditional meals for the family without having to spend your entire day stuck in your kitchen. 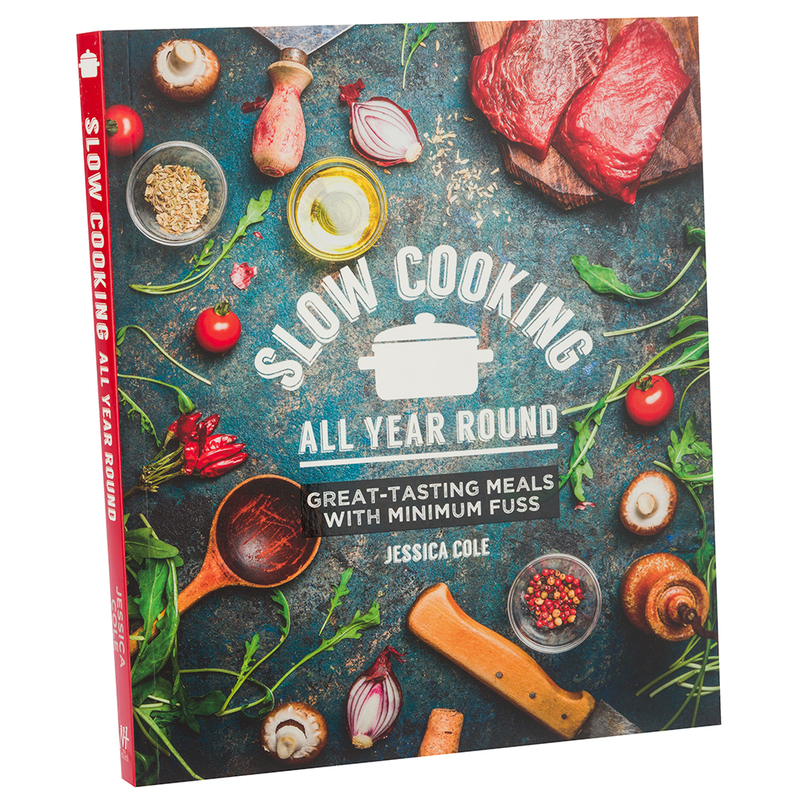 Slow Cooking All Year Round is full of delicious recipes that require minimal fuss. It even features a helpful guide so that you can adapt your favourite recipes and cook them on the slow cooker. Why don't you try the Slow-Simmered Lamb Shanks with Cous Cous, or the Hot Caramel Meringue Dessert, then make yourself a cuppa and put your feet up while your food bubbles away in the kitchen and tasty aromas fill your home. Complete with a range of delicious slow cooker recipes. Divided into chapters; soups, poultry, vegetables, desserts and more! Easy to follow cooking instructions and serving suggestions. Features a helpful guide to adapt your favourite recipes for the slow cooker. Dimensions: 21.5cm (w) x 26cm (l) x 2cm (d).